Percona announces the release of Percona Monitoring Plugins 1.1.1 to address the critical bug that appears after the 1.1 upgrade. Percona Monitoring Plugins are high-quality components to add enterprise-grade MySQL monitoring and graphing capabilities to your existing in-house, on-premises monitoring solutions. The components are designed to integrate seamlessly with widely deployed solutions such as Nagios and Cacti and are delivered in the form of templates, plugins, and scripts which make it easy to monitor MySQL performance. The post Percona Monitoring Plugins 1.1.1 release (enterprise-grade MySQL monitoring and graphing) appeared first on MySQL Performance Blog. I found that there are two possible reasons for this error: Either the MySQL server restarts during execution of the query, or the query got killed forcefully during execution which utilizes the “Using filesort” algorithm. So, let’s try to reproduce the scenario for this particular error. I opened two mysql sessions, mysql1 and mysql2. Then, I executed a query in session1 (i.e. mysql1) and while the query is running I killed it by logging into other session, mysql2. 2013-12-16 00:05:42 3746 [ERROR] /usr/local/mysql/bin/mysqld: Sort aborted: Server shutdown in progress. This looks confusing because of the error message, “Server shutdown in progress”. Then I restarted the MySQL server during execution of this query and the same error logged in error log which seems correct as mysql is shutdown during query execution. So, basically when the MySQL server is shutting down it kills all connected threads so “server shutdown in progress” error message is correct in this context. That means this error is not only recorded when the MySQL server restarts during query execution (which uses ORDER BY on non-index column’s) but also when that particular query is explicitly killed during it’s execution. The MySQL error “Server shutdown in progress” is confusing. It pops up when you kill a query explicitly and it then appears like the MySQL server is restarted – which is not the case in that scenario. This bug is quite old and was finally fixed in MySQL 5-5-35 and 5-6-15. The post [ERROR] mysqld: Sort aborted: Server shutdown in progress appeared first on MySQL Performance Blog. I trust everyone had a super Holiday time, and we still have New Years to come? I’ve been sick since Christmas Eve and have achieved very little except wallow in self-pity. Tamara says that men make the worst patients. I won’t disagree. It has given me plenty of time to catch up on TV (including my yearly ritual of watching the Everest series), and more importantly, to think. This is the time when we all make resolutions for the coming year. We dream big and hope we can actually pursue those dreams through the end of January let alone the whole year. Most of us fail. I applaud those of you that succeed. After studying goal motivation theory for even an hour, it is easy to see what makes a good resolution. We usually succeed when it is something we genuinely desire, rather than something we feel obligated to do. This is why diet and exercise resolutions rarely work. If we had really wanted to get in shape or lose 50 lbs we wouldn’t need to wait until the New Year to resolve to do it next year. My last year’s resolution to write more was easy – I was super excited to do that and it required very little motivation. Sometimes though, we do have a genuine desire but procrastinate. That’s me, I’ve been a big procrastinator all my life (but I’ll fix that next year :)). There are many causes of this condition and a common one is fear, the fear of trying and failing or falling short. It is easier not to try at all. One single resource almost cured my tendency to procrastinate: Feel the Fear and do it anyway. A great read. I caught myself bowing out of several things during 2013 due to fear, most of them things that I really had wanted to do, such as an author speaking engagement. I lost opportunities at work too (though others might not have noticed as keenly as I). Clearly it is time to refresh my “cure”. What are your resolutions or mantras for 2014? Your MySQL server is overloaded. You see hundreds of running queries in the SHOW PROCESSLIST taking many seconds to run, or can’t connect at all because all connections slots are busy. If you have worked with MySQL long enough you surely have seen it, probably more than once. This is what I would call “MySQL server overload” – having more work than the server can possibly handle. At this point I see people often jumping to the conclusion that something went wrong with MySQL and focus all their effort on this belief. This is also often how we see questions framed when they are filed with our Support or to Emergency Consulting. 1. MySQL gets more work than normal. More work may mean more queries or a different query mix. Increasing the amount of more complicated queries will cause an increased amount of work even if the query rate goes down. The reasons for this may vary – it might be the load spike due to variety of external factors; a Google bot coming and starting indexing heavy and uncached pages; it can also be caused by Memcache (or other Cache) expiration or going down as well as many other reasons. 2. MySQL processes the usual amount of work slower. There are several reasons why MySQL may start acting slower. It can be caused by an increased level of concurrency, reduced buffer pool efficiency (caching), changed query plans, accumulated unpurged data in Innodb tables, as well as variety of external factors (to MySQL) – such as running concurrent backup, Battery on RAID volume going bad, effects of co-tenants in Virtualized environments. For both of those points above I’ve listed some of examples of WHY it could happen: The list is far from complete but my main point is that both of those conditions have a lot of reasons why they can happen and typically both of them need to be considered. To be able to answer which case you’re dealing with you need to have some historical data to serve as a baseline. If you’re running Percona Monitoring Plugins you can look at the graphs for queries (of the different kind), number of rows traversed as well as IO happening. In many cases this will be enough to see if MySQL is getting much more load because there will be spike in amount of Selects it is handling with an appropriate increase in the number of rows traversed and IO. Sometimes, though, indicators may be pointing in different directions, and as such, both cases are possible. For example, a lower number of Select queries and Higher amount of rows traversed per second may mean both that some queries changed their execution plans to worsen your normal workload, or the workload has changed and you’re getting a lot more complicated queries. To really understand this you need to look at the historical information on query basics. For a long time you could do this with the Percona Toolkit tool pt-query-digest’s query history feature, though few people would go through the process of setting up regular log parsing to create such history. A more user-friendly tool that can help you answer this question is Percona Cloud Tools’ Query Analytics tool (currently in beta). It will analyze your queries and keep regular workload summaries over time. As such you can take a look at the queries server that has been running at the time of the incident and compare it to the historical data. 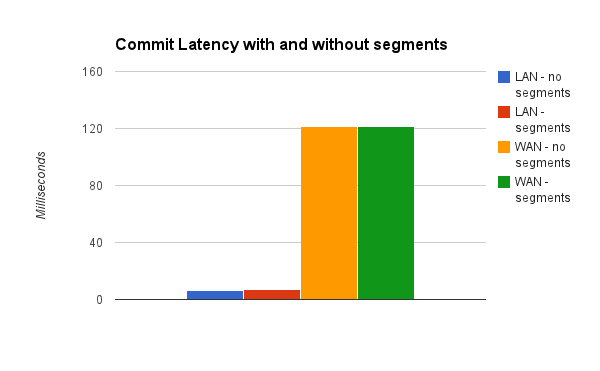 Are you running more queries or less? Are there some queries that became a lot more frequent? Started taking more time? You can find exact answers to all of those questions. If you find queries that have been taking a longer time than before, then you will be able to see when and where the increase in response time comes about by examining a lot more roles than usual (often pointing to changed plans), locking or increased disk IO. Summary: Whatever tool you use, make sure you find out which case of MySQL overload are you really dealing with as it can help you to focus your efforts and get the best result with the least effort possible. And just because MySQL got more of a load and it caused the overload, and possibly downtime – it does not mean you should focus only on reducing workload back to the previous level. Often enough an increase of the work is the wonderful thing coming from increasing service popularity and as such you need to focus on MySQL being able to handle more work better. Even in this case it is much better to know that nothing “broke” compared to yesterday but rather that there is more optimization work which needs to be done. The post 2 cases for MySQL server overload appeared first on MySQL Performance Blog. One of the routine tasks for a DBA is renaming database schemas, and as such MySQL added a command to carry out that purpose called “RENAME DATABASE <database_name>”. However this command just made it through a few minor releases before being discontinued (from MySQL 5.1.7 to 5.1.23). Here’s a link to the reference manual regarding the command http://dev.mysql.com/doc/refman/5.1/en/rename-database.html. Vadim wrote a MySQL Performance Blog post about this a few years ago where he mentions the dangerous nature of this command – that post was appropriately headlined, “Dangerous Command.” Today we will see what are the ways in which a database schema can be renamed and which of them is the quickest. Method 1: A well-known method for renaming database schema is by dumping the schema using Mysqldump and restoring it in another schema, and then dropping the old schema (if needed). [root@percona ~]# mysql -e "CREATE DATABASE employees;"
[root@percona ~]# mysql -e "DROP DATABASE emp;"
Although the above method is easy, it is time and space consuming. What if the schema is more than a 100GB? There are methods where you can pipe the above commands together to save on space, however it will not save time. To remedy such situations, there is another quick method to rename schemas, however, some care must be taken while doing it. a) Create the new database schema with the desired name. b) Rename the tables from old schema to new schema, using MySQL’s “RENAME TABLE” command. c) Drop the old database schema. 1) Dump the triggers, events and stored routines in a separate file. This done using -E, -R flags (in addition to -t -d which dumps the triggers) to the mysqldump command. Once triggers are dumped, we will need to drop them from the schema, for RENAME TABLE command to work. 2) Generate a list of only “BASE” tables. These can be found using a query on information_schema.TABLES table. 3) Dump the views in an out file. Views can be found using a query on the same information_schema.TABLES table. 4) Drop the triggers on the current tables in the old_schema. 5) Restore the above dump files once all the “Base” tables found in step #2 are renamed. We may need to update the GRANTS for users such that they match the correct schema_name. These could fixed with a simple UPDATE on mysql.columns_priv, mysql.procs_priv, mysql.tables_priv, mysql.db tables updating the old_schema name to new_schema and calling “Flush privileges;”. Although “method 2″ seems a bit more complicated than the “method 1″, this is totally scriptable. A simple bash script to carry out the above steps in proper sequence, can help you save space and time while renaming database schemas next time. To demonstrate the use of this script, we used a sample schema “emp”, created test triggers, stored routines on that schema. We will try to rename the database schema using the script, which takes some seconds to complete as opposed to time consuming dump/restore method. As you can see in the above output the database schema “emp” was renamed to “emp_test” in less than a second. Lastly, we are happy to share the script we used above for “method 2″. echo "ERROR: New database already exists $3"
echo "Error retrieving tables from $2"
echo "create database $3 DEFAULT CHARACTER SET $character_set"
mysql -h $1 -e "create database $3 DEFAULT CHARACTER SET $character_set"
mysql -h $1 $2 -e "drop trigger $TRIGGER"
echo "rename table $2.$TABLE to $3.$TABLE"
mysql -h $1 $2 -e "SET FOREIGN_KEY_CHECKS=0; rename table $2.$TABLE to $3.$TABLE"
echo "loading triggers, routines and events"
mysql -h $1 $2 -e "drop database $2"
COLUMNS_PRIV="    UPDATE mysql.columns_priv set db='$3' WHERE db='$2';"
PROCS_PRIV="    UPDATE mysql.procs_priv set db='$3' WHERE db='$2';"
TABLES_PRIV="    UPDATE mysql.tables_priv set db='$3' WHERE db='$2';"
DB_PRIV="    UPDATE mysql.db set db='$3' WHERE db='$2';"
echo "IF YOU WANT TO RENAME the GRANTS YOU NEED TO RUN ALL OUTPUT BELOW:"
The post Renaming database schema in MySQL appeared first on MySQL Performance Blog. 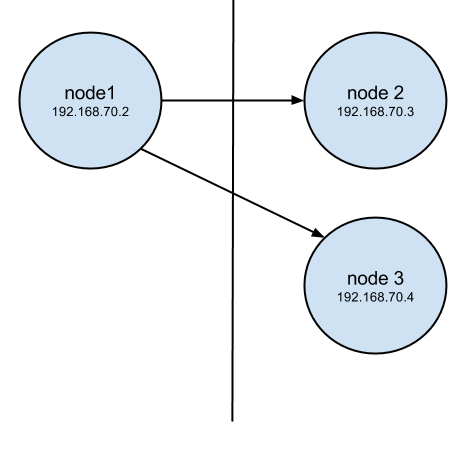 – Discovering Changes in D8 – how to deal with issues. I remember when starting my work at MySQL Support that I would recommend using UNION ALL instead of plain UNION because it would not require duplicate elimination, and as such, would not require the creation of a temporary table in basic cases. Guess what? MySQL actually did it anyway. The learning experience from this incident was to never use common sense alone when thinking about MySQL – test and validate your assumptions because for one reason or another things may work differently from what “obviously makes sense.” I do not want to single out MySQL – this approach has helped me to be successful with problem analyses of all kinds of software. This is essentially the different syntax to express same logical condition and it is very strange to see MySQL being unable to optimize the first form of it. It was clearly a half-baked feature in MySQL and I’m glad MySQL team is getting to fixing it for MySQL 5.7. Support for persistent connections and quick reconnects: I’m really glad work is going on supporting both application development patterns – of supporting a high number of connections and alternative styles when you just connect and disconnect all the time – and so the number of connections maintained is low. 50K connects/disconnects a second is very impressive number and when it comes to the number of connections – you can get to tens of thousands of connections with Thread Pool (part of MySQL Enterprise edition and also available in Percona Server as Open Source Alternative). MetaData Lock Instrumentation is another very important feature. As of right now in MySQL 5.6 the Meta Data Locking patterns can be pretty complicated while there is very limited visibility into what is really happening – why threads are waiting for locks, they are waiting for and who is holding them. The small concern I have here is – it is done as part of Performance Schema which means additional overhead, even though the locks wait information is already always available internally and probably the current lock waits could be displayed without need for extra overhead in the similar way as INNODB_LOCKS table exposes internal Innodb locks. MySQL 5.6 brought a lot of impressive changes and there is a lot of exciting stuff comes with the MySQL 5.7 milestones releases we have seen so far. The post MySQL 5.7.3 milestone release fixes some of my pet peeves appeared first on MySQL Performance Blog. 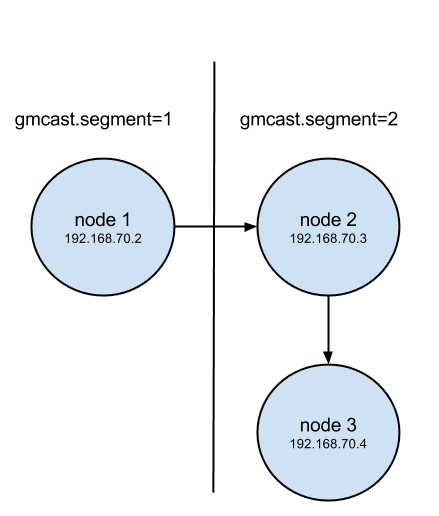 The post Automatic replication relaying in Galera 3.x (available with PXC 5.6) appeared first on MySQL Performance Blog. The Talking Drupal hosts don’t have a set agenda in “Off the Cuff” episodes. Today they talk about what characteristics a good Drupal developer and website have.